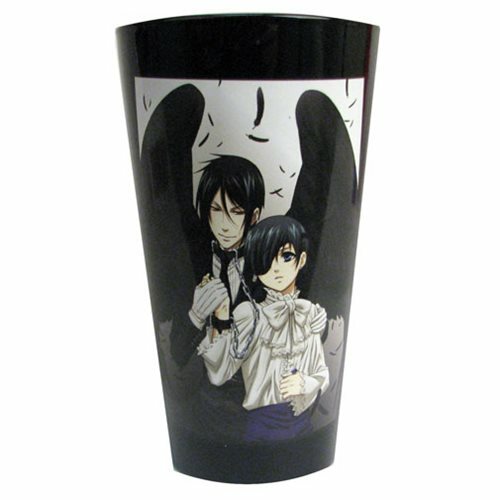 Demon butler Sebastian Michaelis has his wings in full display on this 16-ounce Black Butler Wings Pint Glass inspired by the manga/anime series. Hand wash only. Not dishwasher safe. Do not microwave. Ages 13 and up.